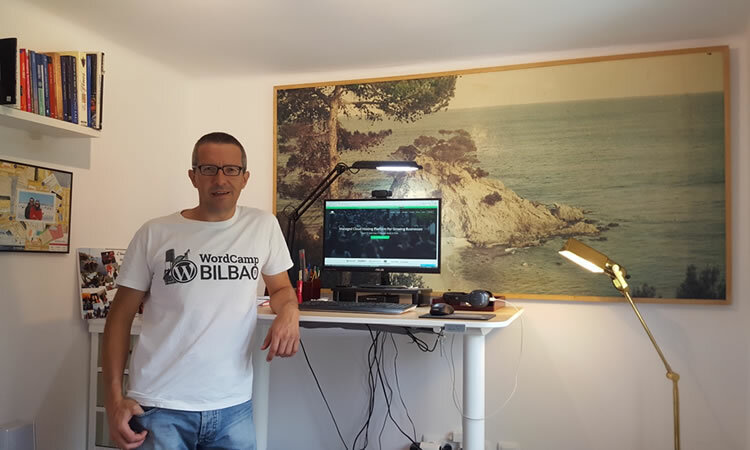 WebRevenue.io is all about growing online businesses with the right content and smart marketing strategy. We are selective and only work with a small group of achievers. Cloudways may not be the household name that people think of when it comes to a PaaS (Platform-as-a-Service) cloud hosting provider. But the brainchild of Pere Hospital, Aaqib Gadit, and Uzair Gadit is making strides in the industry as being the PaaS for small-to-medium businesses. We were honoured to be given the opportunity to talk to the folks at Cloudways and understand a little bit about their inner workings, how they came to be, and what the are doing to maintain their position as a key player in the cloud hosting industry. 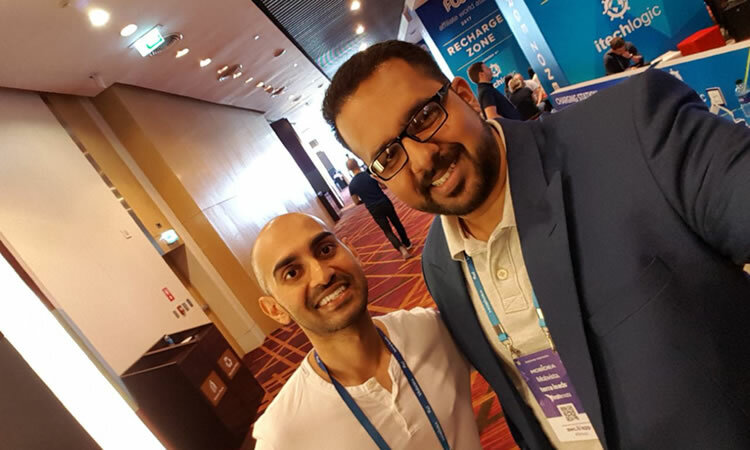 Cloudways Product Manager, Ali Ahmed with Neil Patel at AWASIA Conference Bangkok, Thailand. The idea was to provide a managed cloud hosting experience for all users regardless of their technical competence. Being steadfast in their original vision, Cloudways ultimately went on to become a platform that puts simplicity at the forefront. But, they knew that just offering a platform that was simple to use was not enough, along the way, they managed to improve and further fine-tune their approach to cloud hosting services. With a clear and concise vision, they knew how to approach the cloud hosting industry and put the proper strategy in place, paving the way for Cloudways to grow and succeed as it has today. CloudWays performance test at Bitcatcha (source). Being a provider that specializes in managed cloud hosting, it was important early on that Cloudways identified who their target audiences were and how they were going to penetrate the market. SMB [Small to medium business] and Agencies are our primary target customer profiles, and we have tailored the Cloudways platform to ensure that these customers experience the best-managed cloud hosting for their business. Knowing the needs of their users, Cloudways was able to focus on features and utilities that were both essential and beneficial for their users. And, when it comes to features and benefits, they mean business. As it currently stands, Cloudways packs all the necessary punch to put them as a major player in the cloud hosting industry. But of course, that wasn’t enough for them. They wanted Cloudways to be a platform that can work with any other application, demonstrating their commitment to giving as much choice as possible for the users. Some of the applications supported by Cloudways includes WordPress, WooCommerce, Magento, Laravel, Symfony and even custom PHP projects. But compatibility with other applications is not the only thing that Cloudways excels at. To be a PaaS that can cater effectively to their users, they had to include a wide range of extra features that would further cement Cloudways as the PaaS of choice for SMBs and agencies. Cloudways CDN, Block Storage, Staging Environment, powerful team member management features, server features (server start/stop/transfer), Cloudways Premium Support Add-ons are just several of the diverse value additions that our customers could leverage for greater ease of use and hassle-free hosting experience. While Cloudways continues to enjoy great success within the cloud hosting industry and as a PaaS provider, the trend of price reduction for PaaS plans has seen plenty of companies taking hits to their bottom line. Cloudways Managed Hosting Plans: Start hosting at cloud for as low as $10/mo. Screenshot taken on September 5th, 2018. The folks at Cloudways knows this very well and acknowledged how it could affect the company moving forward. For the team at Cloudways, staying ahead of the competition and maintaining their position as a prominent PaaS provider meant providing the experience that users expect and making the necessary changes to improve their platform and website. If your service offering matches (or exceed) the expectations of the users, they will continue to trust your platform. This idea is reflected in the newly redesigned Cloudways website and platform that is tailored to present all relevant information to the visitors and ensure a consistently high level of services delivered to our customers. Technology is an evolving industry. Even in a niche market such as the PaaS industry, newer technology will continue to make the barrier to entry for other competitors easier. Despite that, Cloudways knows that keeping to the original vision and continuing to provide the services that users want will be the key to their continued success. The most important benefits of using Cloudways as a PaaS provider are freedom to choose, simplicity and ease of use and innovation in services and features. And to establish themselves as a platform that’s truly unique from the competitors, Cloudways has gone above and beyond in providing its users with a wide variety of features and benefits that are key pillars to their services. Cloudways Breeze [home-built WordPress cache plugin]. The features alone would be enough to make them a top-tier PaaS provider but innovation has always been a part of their identity and they managed to find ways to further improve their hosting capabilities. For all their technological feats and milestones in the industry, Cloudways knows that it’s due to the people and their dedication to the original vision that had brought them so much success. Everyone at Cloudways is dedicated to providing the best experience for users that just want a simple managed hosting solution. This dedication is evident when it comes to their support team. Users feedback on Cloudways customer support and pricing. If that wasn’t enough, they even provide Premium Support Addons for those who want priority support in handling their servers. We would like to give thanks to the team at Cloudways for taking the time to talk to us. It’s clear that they are a passionate team that wants to create a platform that brings a real solution to small and medium businesses. With Cloudways, the key to their success has always been their steadfast vision. We hope that it continues to keep them being a lean and innovative company, bringing them more success in the future. Azreen Azmi is a writer with a penchant for writing about content marketing and technology. From YouTube to Twitch, he tries to keep in touch with latest in content creation and finding out the best way to market your brand.